You can download this version (391) at will to try and test it. No need to update your current version, you can continue to play 3DXChat 2.6 (build 390). Make sure that you install 391 in a separate folder from version 390, if this is important to you. Will we be able to communicate with players from 390 with the new one ? Ok so I know people have been wanting this since forever so can someone please explain the advantages of the 64 bit version? I think its suppose to make your computer run cooler? but what else??? Why lol? What are the disadvantages of using 64 bit client? Peoples with 32 bits computer can't run it. 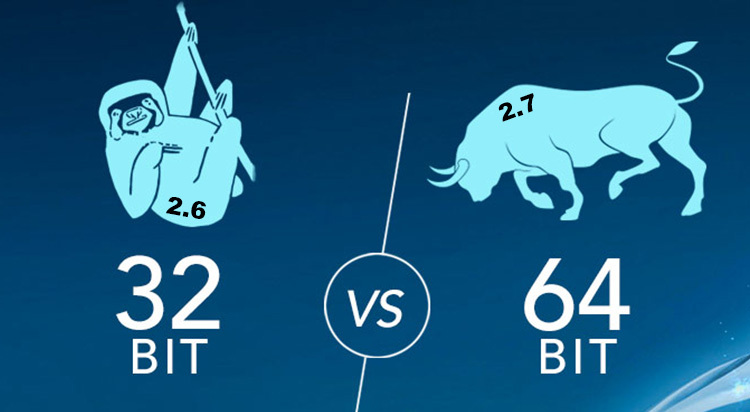 You can run a 32 bits on a 64 bits but the reverse is not true. i want to complain about something damn it! people having computers so old that they cant run 64-bit like its someone elses problem. buy a new computer. Works really good. Even the most complicated rooms load in seconds in the builder, and people will actualy be able to load them without being restricted by 32 bit limitations if I continue building more in the same world. Indeed. You build a highway, people have cars. We can get anywhere much faster. We can't just stop using the advantages of fast lanes because some people still have horses at home, and they would not be able to gallop on a highway. Can we now use spotify playlists? everyone behave themselves! gizmo is online. Well 3DXchat is not really a game for Gaming machines. I think the most plays with Laptops and for this should the performance of the game run well. In fact, 32 bit systems are installed only in 1.59% of Windows users.